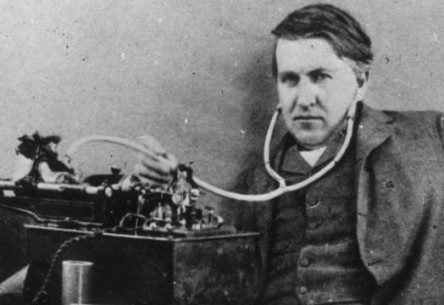 A long-lost chapter of the memoir of Thomas Edison has been found and published in France and it contains details of the great inventor’s plans to build a device to record the voices of the newly departed. Edison’s original memoir is called “Diary And Sundry Observations” and was published in 1948, 16 years after his death. The first edition of the book contained a last chapter called “Spiritualism,” a collection of essays in which Edison talks about his beliefs in an afterlife and a way to communicate with the dead. I believe, rightly or wrongly, that life is undestructable … I am inclined to believe that our personality hereafter will be able to affect matter. If this reasoning be correct, then, if we can evolve an instrument so delicate as to be affected, or moved, or manipulated – whichever term you want to use – by our personality as it survives in the next life, such an instrument, when made available, ought to record something … I have been at work for sometime building an apparatus to see if it is possible for personalities which have left this earth to communicate with us. 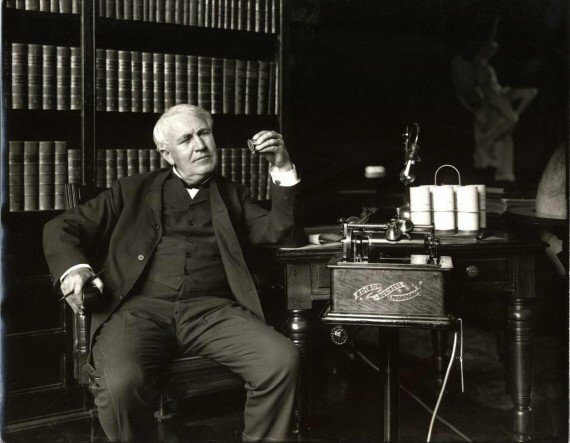 Edison worked on what has come to be called the “Telephone to the Dead” during the last ten years of his life. Part of the work involved amplifying the sounds from his phonograph in hopes the background noise would contain spirit voices. As an insurance policy, he made a deal with He also made a deal with engineer William Walter Dinwiddie that whoever died first would attempt to leave a message on the machine. The device has never been found and his family had the chapter removed from all subsequent editions of the book. (Edison) imagined being able to record the voice of another being, to be able to make audible that which isn’t — the voice of the dead. Was Edison on the brink of what would truly have been his greatest invention? Crank up your phonograph and see if he’s left you a message. Try playing the record backwards.